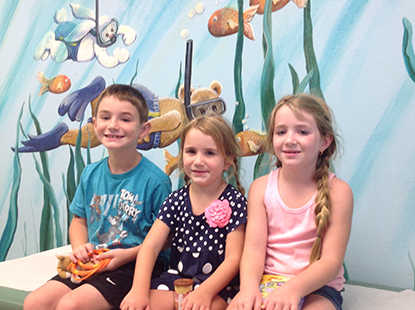 Thank you for choosing Marion Pediatrics, P.A. as your child's medical home, where we always provide a comfortable, caring environment so our patients and their families can feel at ease. We've included helpful items on this page to ensure you and your child's first trip to our office is productive, stress-free and enjoyable. Our compassionate health care providers and staff do whatever it takes to make every visit to our office a pleasant, relaxed experience. With all of the important information about our practice available on our website, you can feel confident that you and child are well-prepared for your first appointment. We also invite you to review our staff page in order to get to know our doctors and staff. We look forward to meeting you.